This has been a competition of defensive grit, stifling of goals. More exceptions are starting to appear in the first elimination round. Germany sunk Slovakia by three goals in a typically clinical way; Belgium proved ruthless in its display slotting four through Hungary’s defences. But the great wonder of football at this tournament, a team that came quite literally out of the blue of football existence, was Iceland. Wonder as it might be, Iceland’s performance has not been a miracle so much as phenomenal hard work and dedication. As the great inventor and purveyor of direct current Thomas Edison was known to have claimed, genius is 1 percent inspiration and 99 percent perspiration. That did not mean that at some point, Iceland were keeping company with such football minnows as Luxembourg and Liechtenstein. Much more perspiration was required. In the qualifying rounds, the team finished seven points clear of the Netherlands. In Euro 2016, they held their own in the group stages, fashioning out draws against Hungary and Portugal, while sinking Austria. This took them to a wonderful, free flowing match with England, taking two out of three chances on goal count in the first half. England’s lion share looked poor and desperate relative to the Icelanders when they had the ball. By the conclusion of the match, the latter had won a famous victory by two goals to one to march on the quarter finals. Much silliness has been tossed around in attempting to understand the Icelandic achievement. How, goes one question, did a nation of 330,000 go so far in the football stakes? El Salvador, with a larger population of four million, was hammered 10-1 in their opening game of the 1982 World Cup. Closer examination shows structure in the home game, along with dedication and a generous contribution of resources to youth talent. Typical are the public training facilities that speckle the country, a network of breeding centres for Icelandic football. “Everybody can see that these pitches are vital to us,” explained Arnar Bill Gunnarsson, head of football development the Iceland Football Association (KSI). According to the KSI, there were 179 full-size pitches in the country by the end of the 2015, making that one full-size pitch for every 128 registered players in the country. To this can be added 166 mini and half-sized pitches that employ artificial turf. Such dome pitches have become realms of pursuit for the Icelandic footballer, havens of development away from harsh conditions. Heimer Hallgrímsson, the national team’s joint head coach, sees such dome pitches as “a revelation”, the sort that all villages wanted. Virtually every school in Iceland is close to one. The continued growth of such football is all the more impressive given the economic shocks the country has endured. In terms of sheer scale, the banking crisis of 2008 was as calamitous as any country’s, if not more so. That did not prevent the publicly funded facilities for football from continuing to receive resources. Public house football was a species to be nurtured, not ditched. In time, these domes of training and practice gave birth to the “indoor kid” generation, the first players whom made their appearance at the European Under-21 Championship in 2011. Many are on show at the championship in France. Football, however, is hardly just training pitches in suitable conditions. 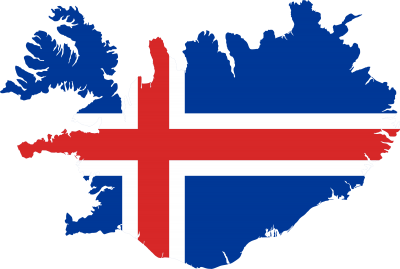 Iceland has one conspicuous omission to other countries of the football persuasion: professional club sides. They make up for this lack in an abundance of coaches, with 639 holding a UEFA B license. There is also another strain in Iceland’s football which can almost be regarded as singular in the modern professional tradition. Within that cosmos is a distinct lack of elitism. A strict, natural egalitarianism operates, the great leveller between players that has produced a marked esprit de corps among the players of the national team. As Gunnarsson explained to Goal, “It doesn’t matter if you’re a boy or a girl or good or bad at playing football. Up until the age of 19, you can train as much as you’d like.” Rather heretical stuff to the professionalised devotees of the game. With a calm head, the coaching staff comprising Hallgrímsson and Lars Lagerback have managed to wangle out superb performances from the team, reminding everybody that they are not in the business of imitating the inimitable. In that sense, they have truly come into their own.